This is a super simple and delicious appetizer that looks very impressive. You could also serve them as a main dish if you made enough of them. All you need is 2 ingredients and a grill. That's right. just some peeled jumbo shrimp and some andouille sausage. 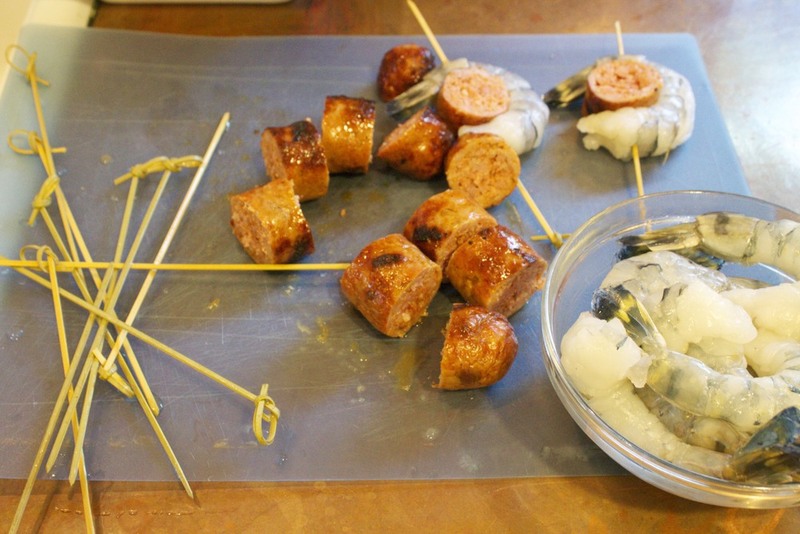 Start by soaking your skewers in some water so they won't scorch on the grill. Light the grill and heat it to about 459 degrees. When the grill is hot, cook the sausage. 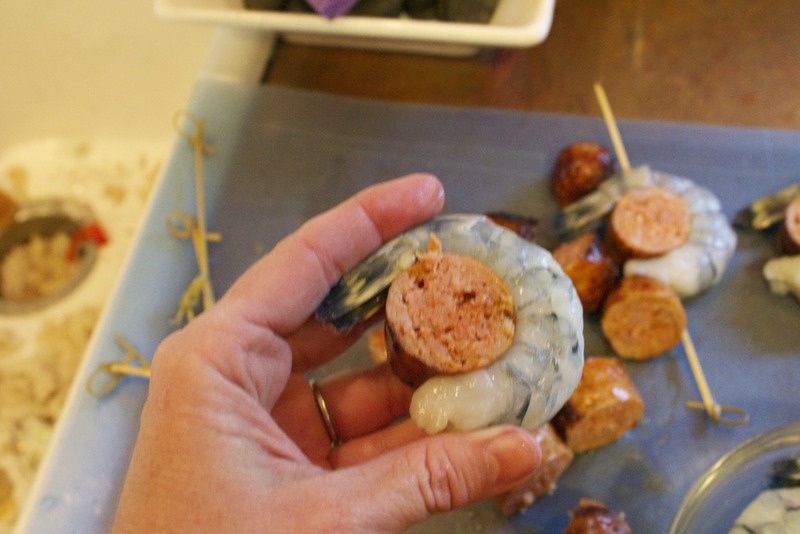 The sausage needs to cook first because it takes a lot longer than the shrimp. Once the sausage is almost cooked, remove it from the grill and slice it into 1" pieces. 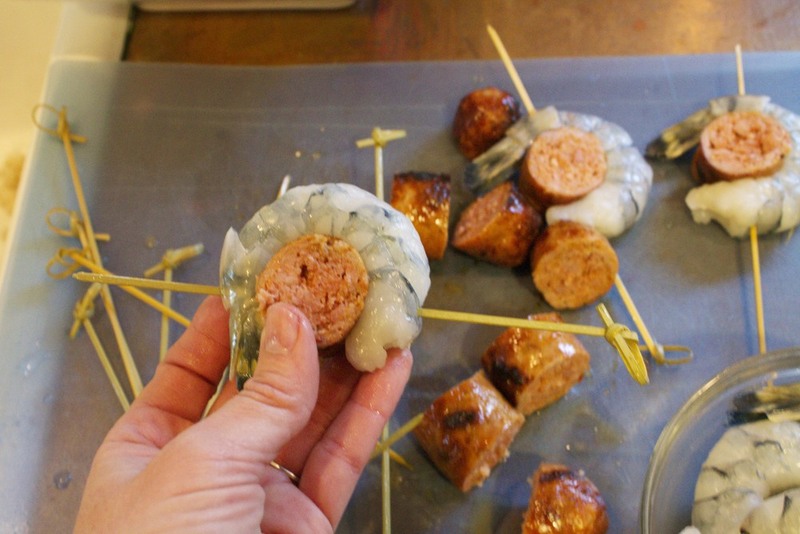 Take one shrimp and curl it around one piece of sausage then skewer them together. Repeat until all are assembled. Now put them on the grill, turning after about 3 minutes. Cook 2-3 more minutes until the shrimp are cooked through. I served these with a remoulade sauce. delicious! 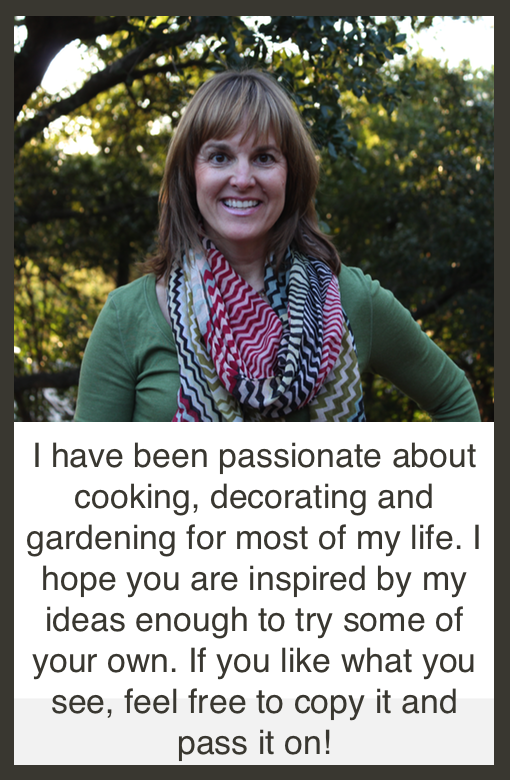 Posted in In The Kitchen, Entertaining and tagged with skewers, appetizers, shrimp, andouille. June 6, 2013 by Lynn Adams.